The heavy duty WonderWall barrier system is self-weighted and therefore requires no additional ballast, which is particularly useful in open and exposed locations. 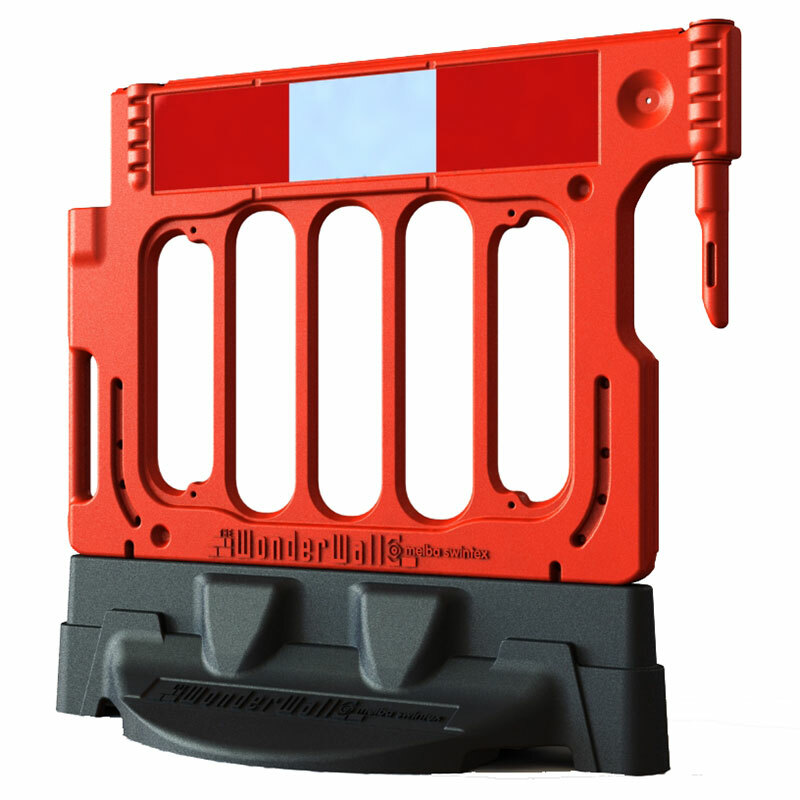 Supplied as a pallet of twenty one individual barriers, these are ideal for use in protecting pedestrians from excavations and moving plant and vehicles. The flexible high visibility WonderWall system can also be utilised in a double deck manner by purchasing top deck barriers, which are sold separately. Each individual barrier features a notch in which to place a flashing lamp (not included). This WonderWall system is compatible with existing systems and thanks to its durability, will serve you for many years to come. Each of the individual barriers weighs 25kg and features location holes to enable you to display notices. The WonderWall barriers conform to the following standards; BSEN8442, BSEN12899-1 and Chapter 8.